You are perusing the condos for sale page of the newspaper or website, so you have at the very least a passing interest in this kind of real estate. Condominiums such as those found in various neighbourhoods of Toronto and in other parts of the city, like Etobicoke, are some of the hottest properties around. They offer convenience, ease of access to city amenities, an affordable alternative to the downtown detached house, and of course are often vertical neighbourhoods unto themselves. What you may not know about lofts is that they do not come in one uniform style. We are not just talking about luxury suites, penthouse lofts, bachelor, and two bedroom here either (although these are definitely different types of condo units). What we are talking about are condominium versus loft condominiums. Loft condos are a specific type of condo which often appeal to a very well defined demographic. Condo complexes such offer traditional luxury condo units. They have defined spaces for eating, sleeping, recreation, and so on, usually separated by a wall or two. Lofts are completely different. A loft is a big open space which does not include walls in the floor plan separating one living area from another. With the exception of the bathroom and sometimes the kitchen, all of the areas in a loft are open plan. You sleep in the same room as you watch television, dine, and store your furniture. The open floor plan of lofts was the original reason why a certain demographic would choose to make their home within them, rather than in a walled condo. Artists of all types, including sculptures and painters, found the open plan conducive to both their work and storing their pieces. They were easy to show off, and many such workers would use their loft apartments as showrooms as well. Today, the idea of the loft has caught on with many upper class city residents not necessarily involved in the arts world. As a result, you will find loft apartments listed along with other pieces of houses for sale, even though this thought would have given shivers to the original market. Artists and the upper classes are not the only people to find the idea of life in a loft appealing. This type of real estate is growing increasingly popular amongst those who follow the bohemian way of life. They make for a great spot for a few people to live in at once, without any commitment beyond that which the owner has made. While many loft condominiums today have been built as such, originally the loft condo was created from space within an old factory. These units were known as loft conversions, and were key in the revitalization of the downtown cores of many old, historic cities. 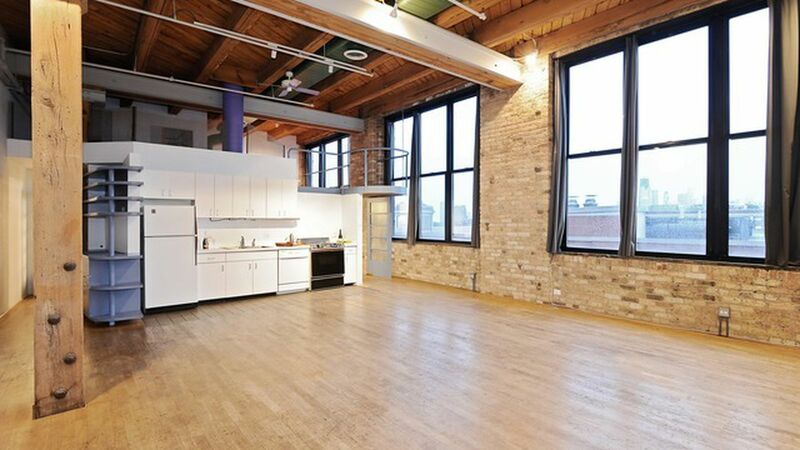 A loft in downtown Toronto is a good example of such a unit. The building is the former factory site of men's clothing company Tip Top Tailors. It sat vacant for many years until being re-envisioned as a residential complex. Is the loft life right for you? If you think so, contact a knowledgeable realtor today. They can help you find a loft with the mood and in the neighbourhood that suits you best.